Last Week in Review: Recent housing reports have disappointed, but sales of new and existing homes are up from this time a year ago. Forecast for the Week: The Jobs Report for February is a must-watch. Also look for news on inflation, personal income and spending, and manufacturing. View: Boost new ideas and creative thinking with these four tips. Last Week in Review: The Jobs Report for July met expectations, and so did the Fed’s taper announcement. But there was one big surpriseâ€”find out more. Forecast for the Week: The economic calendar is quiet, but earnings season continues. 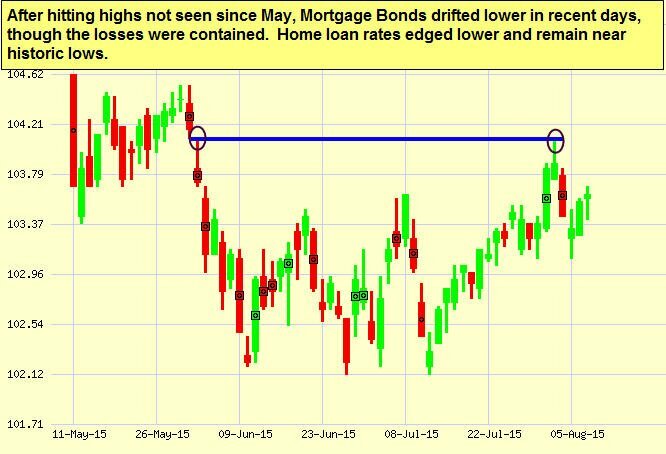 Will the news boost Stocks, or will it benefit Bonds and home loan rates? View: These four simple tips can improve your writing and make sure your marketing pieces and emails make a great first impression. Surprise! Surprise! While the Jobs Report for July didn’t feature any major surprises, the second quarter Gross Domestic Product reading sure did. Here’s what you need to know. The Labor Department reported that 209,000 new jobs were added in July, while the numbers for May and June were revised higher by 15,000. 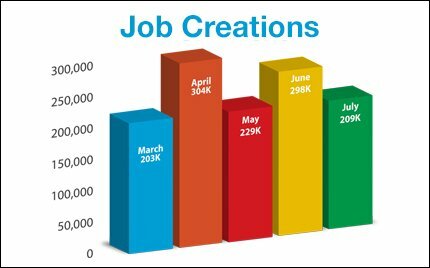 Through the first seven months of 2014, job creations have averaged 230,000 jobs per month, enough for the U.S. economy to continue to grow.Â While the Unemployment Rate ticked up a hair to 6.2 percent, overall this was a decent report and a good sign for the labor markets. Also, as expected, the Fed announced that it will taper its big Bond-buying program by $10 billion total. This means that the Fed will now purchase $10 billion in Mortgage Bonds and $15 billion in Treasury Securities each month. The Fed has been steadily tapering these purchases throughout the year. As we head into the fall, it will be important to see how further tapering may impact Mortgage Bondsâ€”and therefore home loan rates, which are tied to Mortgage Bonds. That leads us to the big surprise of the week. The first reading of second quarter Gross Domestic Product (GDP) surged by 4 percent, well above the -2.1 percent final reading for the first quarter. This is significant because GDP is the broadest measure of economic activity, and at first glance it’s a great sign for our economy. However, it’s important to note that this is the first of three readings and it is based on data that is incomplete or subject to further revisions by the Bureau of Economic Analysis. We will have to see what future reports bring as the second half of the year continues. After last week’s jam-packed calendar, this week’s economic report schedule is on the light side. On Tuesday, the ISM Services Index for July will be released. Jump to Thursday with the usual suspect, Weekly Initial Jobless Claims, which continue to hover near pre-recession levels. On Friday, look for Productivity for the second quarter. When you see these Bond prices moving higher, it means home loan rates are improvingâ€”and when they are moving lower, home loan rates are getting worse. 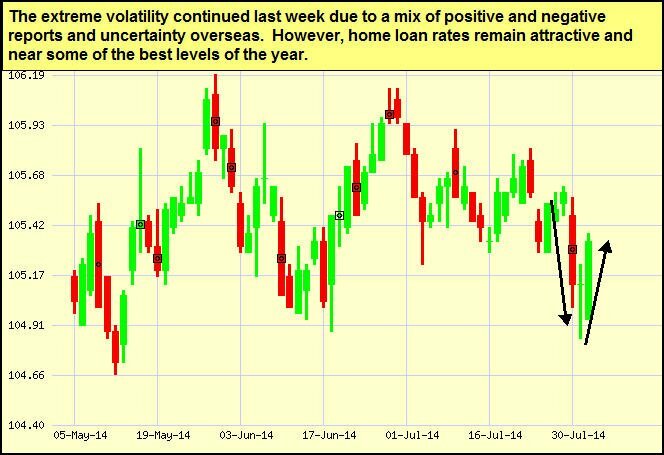 As you can see in the chart below, the volatility continued last week due to news here at home and the uncertainty in several regions overseas. 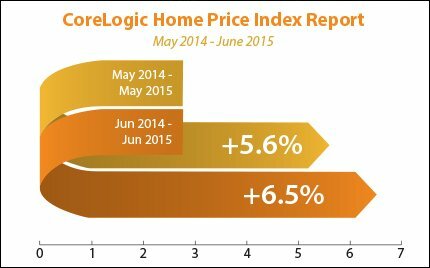 Home loan rates remain attractive and I will continue to monitor them closely. First impressions are always crucial, especially when reaching out to potential new clients and referral partners. And in business, first impressions are often formed sight unseen through writing. That’s why avoiding poor grammar, clichÃ©s and “business speak” in your writing is critical. Keep it simple! Long, run-on sentences can be confusing, while the ability to simplify the complex can actually be seen as a sign of intelligence and leadership. Click here to enable both Outlook and Microsoft Word to apply the Flesch-Kincaid Grade Level and Reading Ease filters to all your documents. Avoid cliche’s and dry as dust expressions. People may think they are tried and true, but they can also make you sound unimaginative. Don’t forget to proofread and there’s an app for that! While grammar and style errors may seem like small issues, they give the impression that you don’t pay attention to important details. Always proofread your materials, and ask a trusted colleague to review them for a second opinion. In addition, the Hemingway App identifies grammar and style errors often better than most word processors and helps you avoid awkward sentence constructions and overly-used words or expressions. 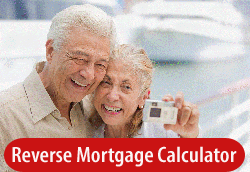 As your mortgage professional, I am providing you the MMG WEEKLY because I am committed to keeping you updated on the economic events that impact interest rates and how they may affect you.